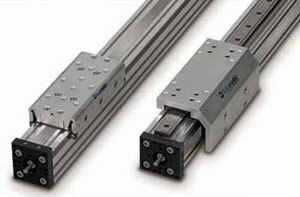 Tolomatic MXE screw drive actuators are available in a choice of two bearing designs. The profiled rail ball bearing system reduces friction to extend actuator life. The solid bearing design for reduced stress concentration providing optimal performance. MXE electric actuators are available in 6 body sizes and multiple screw combinations.